Fully portable, no dependencies. No jQuery, no Prototype, no MooTools; just add the script and the stylesheet and you’re good to go. Fully and easily skinable. The default theme uses only one image file (a mask for the previous and next buttons), everything else is styled using CSS. Supports all modern browsers and IE8. Support single day, multiple day, or day range selection. Configurable number of months to be displayed at once. 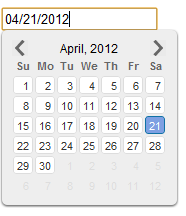 Can be displayed on the page as an inline widget, or attached to one or more input fields as a popup control. Can be attached to any page element, not just named elements. Leverages moment.js for smart and easy date parsing. But why does the date look like “”\/Date(1326234740861)\/””. 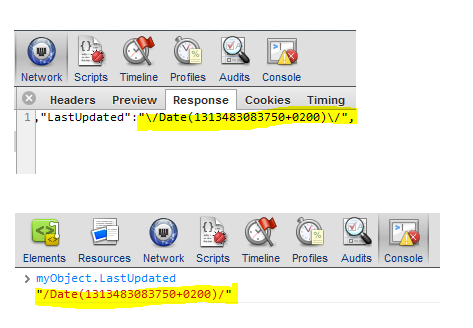 But when we get objects from an ajax call, we just get: “/Date(1326234740861)/”. 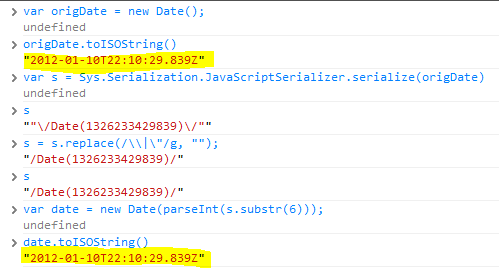 The explanation must be in the deserialization inside $.ajax.